We know that there are many K-pop fans in France. Through Youtube and some Korean media, we’ve come to know that there are Korean cultural activities by young French people as well. We sarangkpop wanted to hear their real voice about their K-pop love so that we contacted the Korean Connection Association(KCA). 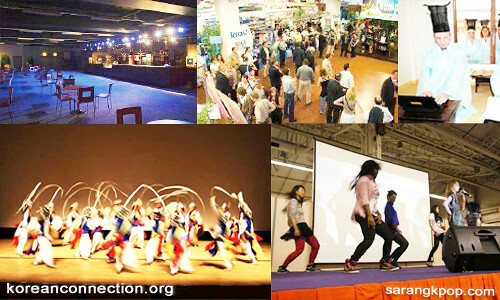 It was a great timing because KCA was working on the Grand Korean Festival, the biggest Korean cultural event in France. 1. We understand that The Korean Connection Association(KCA) is a non-profit organization officially recognized by the French Government since April 2010and its aims are to promote meetings and exchanges between people who have developed curiosity, interest or even passion for Korea. What made you organize a body like this in stead of staying as a fan club? At the begining, we didn’t want to create a body as a non-profit organization. I event rejected this idea. We were just friends sharing our passion for Korea. Having some fun organizing parties between ourselves. But since we organized events bigger and bigger, we arrived at a point where we were forced, for legal reasons to create our organization, Korean Connection. The name comes from the title of our very first significant public event. Since I found the name sounded nice, we decided to use this name for our organization as well. 2. how long did it take to organize KCA and what was the hardest thing you faced when working on it? Well, our organization is a very young one. Officially less than one year. Nowdays, we cannot say that everything is structured. But since few months, we can consider our board is quite stable. Our main difficulty is to find people who have enough availabilities. Most of passionated people are also very busy. 3. We’ve found out that ther are some Korean organizations like the Korean Cultural Center , the Korean National Tourism Office supporting your project. Let us know how you managed to get their support and how they helped you? We imagine we obtain their support because we share a same objective which is promoting Korea and its culture. Since we were Korean student at the Korean Cultural Center, it was quite easy to contact them. For the Korean National Tourism Office, it take much more time due to changes in their organization but they now support us very kindly. The Korean Cultural Center helped us by allowing us to organize some of our main achievements inside their building like our previous and small Korean Festival and our Korean Summer Class for French people in 2010. They also support us by a little subvention. The Korean National Office Tourism also provide us a little subvention. They also help us a lot to organize our trip to Korea next April. For instance, they helped us to negociate our flight ticket at a good price with Asiana Airlines. They also helped us to get an agreement to visit Samsung Digital City in Suwon. 4. Although KCA has recently been founded, it seems to have achieved a lot now. Korean Summer Class , K-Pop Dance Class, Film-Discussion, etc. How did you get the information on these activities and find people joining them? Our adventure which is KCA made us meet a lot of people from many origins : Korean teachers, K-pop dance band leaders, French veterans of the Korean War, etc. This is thanks to their invaluable help that we have succeeded in organizing those past events. They gave us time and ideas… In some way, KCA, this is them ! 5. We understand that, in partnership with the Korean National Tourism Office, you organized a trip to Korea with 56 French people in April 2011. It also appeared on Korean TV shows. Why did you make this trip and what will you do when you visit Korea? Many French people like Korea but for most of them, going their is not so easy to do alone. We have organized events about Korea but we cannot have a true vision of Korea without going there. However, we believe in making our own experience. That’s why this trip will be semi-organized. I mean that even if we will plan "official" visits, some couple of days will be free and people could do what they want. 6. Let’s talk about The Grand Korean Festival. 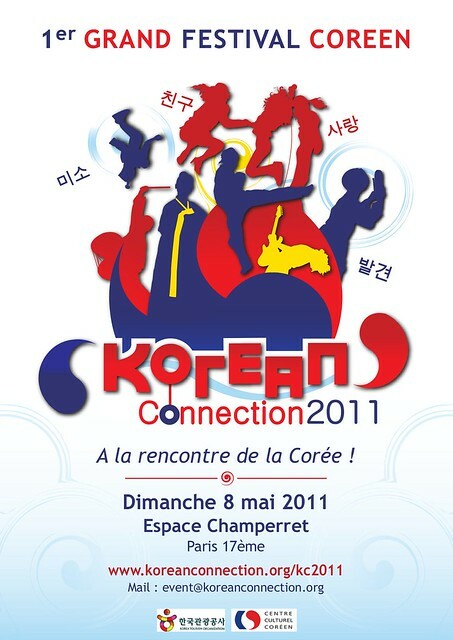 I think this would be the biggest Korean culture event in France. It covers many different aspects of Korean culture such as Hangeul, calligraphy, Hanbok fitting, Taekwondo, Samulnori, kpop dance, and so on. Thousands of people can you tell us why you planned this big cultural event and how it is going on now? In France, Korea fans used to meet each other in specific events : festivals on Korean movies, festivals on Korean martial arts, festivals on traditional Korean Culture… But there wasn’t an event at such a scale combining many aspects of Korean Culture and Korean Way of Life. For instance, we would like to enlarge the vision of Korea fans for instance by showing them that there are also other things like martial arts, traditions, movies, etc. 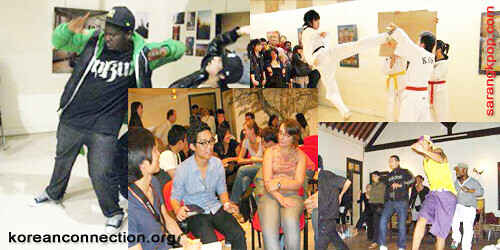 We would like also to create a place for allowing those people to meet each other, and share their passion for Korea. At this moment, there is still a lot of job to accomplish, but we do our best to organize the best Festival to Korea lovers. 7. do you have Korean members? If so, let us know what they do for the Festival. Of course, we have some Korean members. They are very involved and they helped us mainly to translate documents in Korean and provide us some contacts. 8. can you tell us about Kpop in France now? We think that Kpop in France is getting more and more popular everyday. French people find this kind of music very attractive thanks to the high quality of works realized by Korean artists and their labels. We are also working to organize a big Kpop Concert in France this year. 9. Anything to talk to Korean netizens, talk to them. We would like to say that France is begining to love Korea. You are welcome in France and in Paris. Life in France could not be what you can expect in your imagination but be sure that we share many common values. Many French people would be very happy to be friend with you. And in Paris, you can now find Kimchi and other Korean stuffs now ! 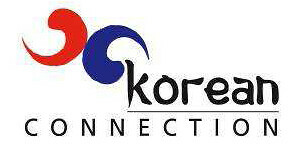 The Korean Connection Association, we sarangkpop as Korean netizens are deeply moved at your passion for K-pop and Korean culture. And we really thank you for your efforts to spread K-pop love and Korean culture In France. The Grand Korean Festival will be definitely successfull. We all Korean netizens love you! Check out the Korean ver.